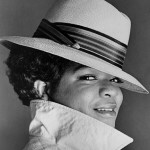 Singer and actress Nell Carter was born in 1948 in Birmingham, Alabama. She endured difficulties in her early years; her father died when she was young, and she was raped as a teenager. Nevertheless, her talent and determination allowed her to rise to fame. In the 1970s, Carter worked mainly in the New York musical-theater world. In 1971, at the Ritz Theatre, she played the part of Sharon in the short-lived musical Soon (by Joseph M. Kookolis, Scott Fagan, and Martin Duberman), with a cast that included Peter Allen and a young Richard Gere. The following year she played Suzie Moon in Dude, a musical by Gerome Ragni and Galt MacDermot (who would later score a triumph in Hair). Also in 1972, she formed part of the ensemble for the New York production of Micki Grant’s musical revue Don’t Bother Me, I Can’t Cope – at once a social commentary on the adverse conditions many African Americans had to endure and a celebration of African American culture. 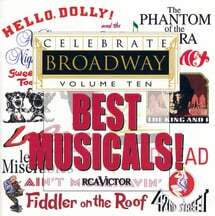 The musical earned four Tony® nominations. 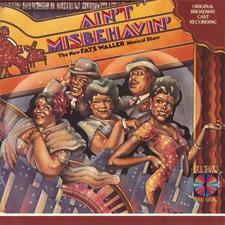 One of Carter’s most successful engagements was her part in the original Broadway production of Ain’t Misbehavin’, a 1978 revue based on songs by “Fats” Waller. The musical won the Tony Award® for Best Musical, and Carter won both a Tony® and a Drama Desk award for her outstanding performance. She sings on the original Broadway cast recording. The original production had 1,604 performances on Broadway. 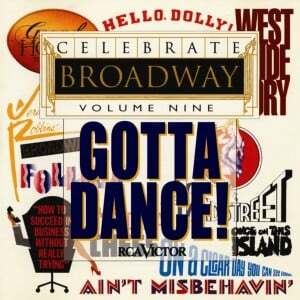 Carter returned to Ain’t Misbehavin’ for the 1988 revival at the Ambassador Theatre – a production that won a Tony® for Best Revival. The following year, Carter appeared in the film version of Hair (directed by Miloš Forman), singing on camera in the “Black Boys/White Boys” ensemble segment as well as throughout the score; she can be heard on the original soundtrack recording of the movie. In the 1980s she appeared in several films, included Back Roads, Modern Problems, and Maid for Each Other. She was also a familiar presence on television, first as Sgt. Hildy Jones in The Misadventures of Sheriff Lobo and then in the lead role of Nellie Ruth “Nell” Harper in the comedy Gimme a Break! in which Carter played a housekeeper for a bereaved Los Angeles police chief and his daughters. The popular show ran for six seasons, from 1981 to 1987. She later played the school principal P.J. Moore in the 1992 and 1993 seasons of the television sitcom Hangin’ with Mr. Cooper. Joining an all-star cast in 1996, she took part in Angela Lansbury: A Celebration at the Majestic Theatre, performing on the same bill as Lauren Bacall, Bea Arthur, Barbara Cook, Chita Rivera, and others. She played Miss Hannigan in the 1997 revival cast of Annie at the Martin Beck Theatre. Later movies included The Crazysitter, The Grass Harp, The Proprietor, Fakin’ Da Funk, Perfect Fit, Special Delivery, Back by Midnight, and Swing. Carter died in Beverly Hills in 2003 of heart disease.